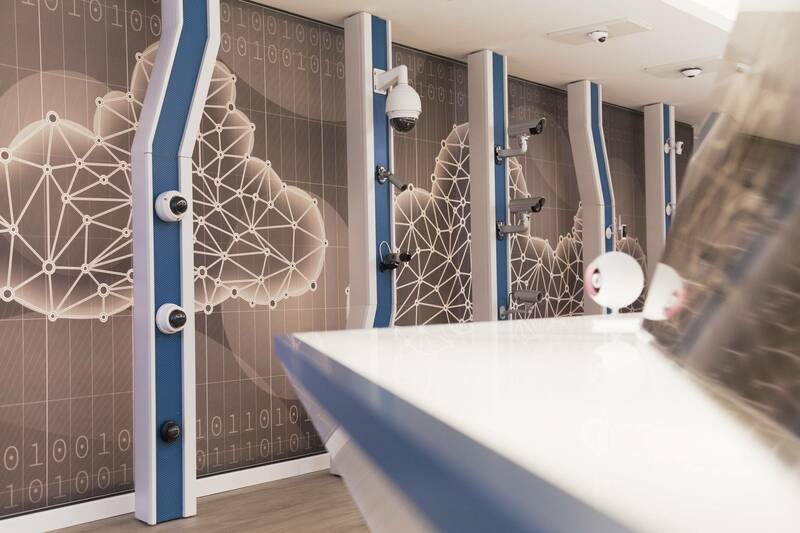 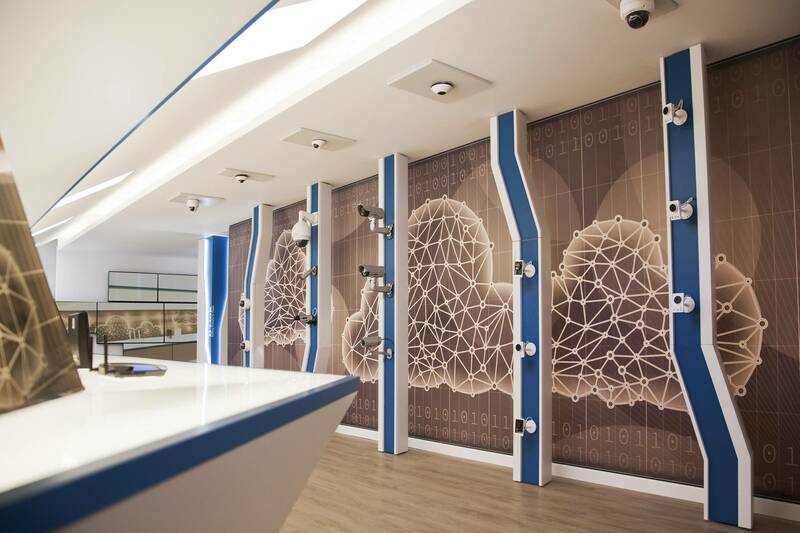 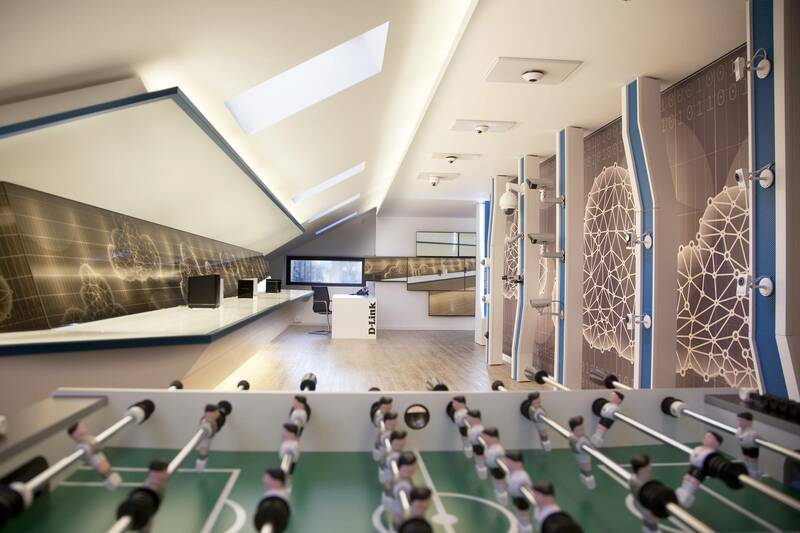 New directional office of the D-link Company in Milan. 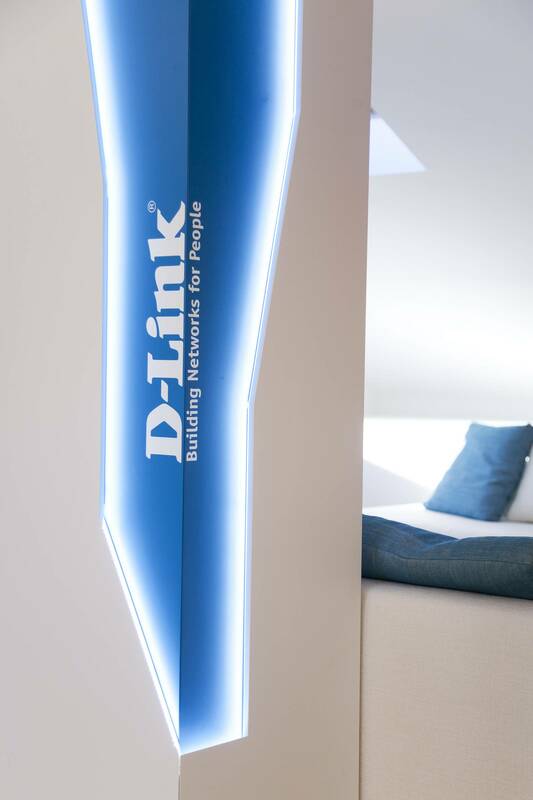 Starting from the strong color contrast between white and blue, typical of the D-LINK logo, this space develops as an ever-changing office / showcase. 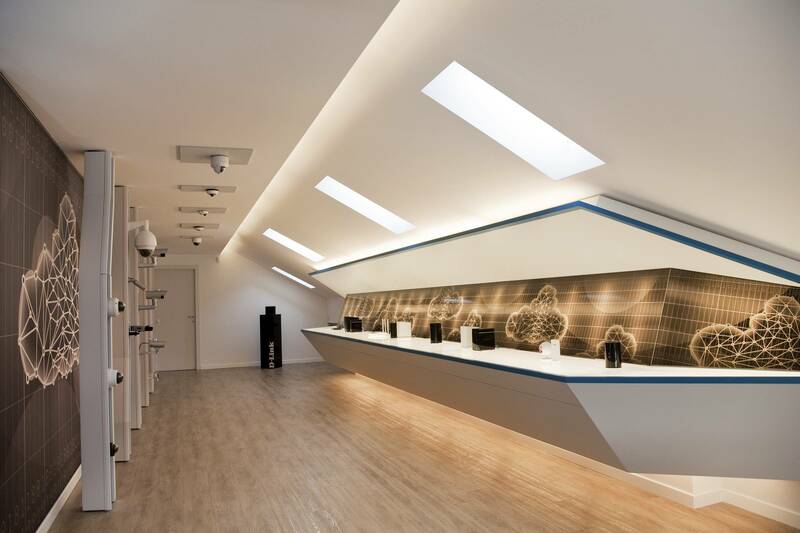 A long display and vertical elements act as exhibitors of products that can be added, replaced, moved according to different needs, making space fluid and dynamic. 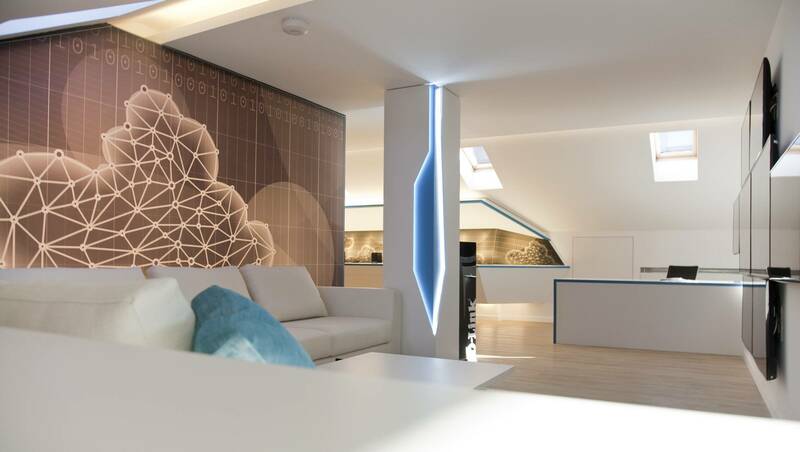 A backlit print acts as a backdrop to the environment, giving the user the feeling of immersing himself completely in the electrical circuits of the devices.